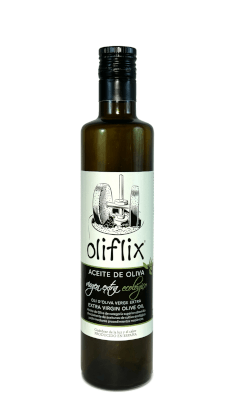 According to our idea of respect for the environment, we elaborate a variety of oil and olives from organic farming. 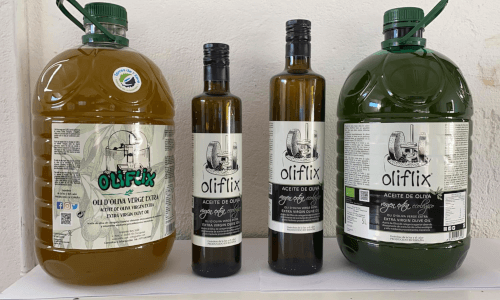 Both the extra virgin olive oil from first cold pressing, and the natural table olives come from olive trees that have been neither treated with fertilizers nor insecticide of synthesis. All of these being endorsed by Rules and Controls of the Catalan Council of Ecological Agricultural Production (C.C.P.A.E.). 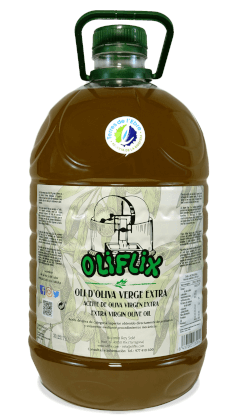 The first cold pressing is the oldest extraction system for oil, obtained at less than 27° by a first mechanical pressing of the olive paste through a system of traditional hydraulic presses. The mention of cold pressure on the label, is a regulated compliance, according to EEC 29/2012 from 13-01-2012 standard, otherwise it can not appear such mention. 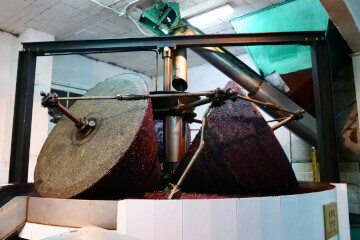 For more details view elaboration of extra virgin olive oil from first cold press. In reward for manufacturing the very best quality oil we have been awarded by Guild of Fine Food Retailers the silver medal in 2005 and the gold ones in 2006 and 2012. 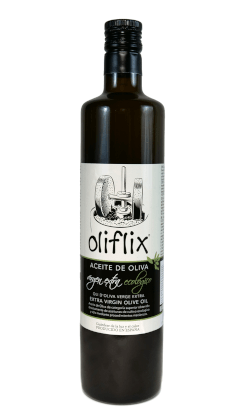 Oliflix extra virgin olive oil once bottled, due to being filtered very gently , it appear at some sediments at the bottom, composed by very fine particles of the olive: bone, skin, etc. Being a clear sign of the quality of Oliflix. 5 liter container, PET, 4 bottles per box. 3/4 liter bottle, 12 bottle per box. 0.500cc bottle, 12 bottle per box. Natural table olives of the Arbequina variety. From organic farming. 1200 gr. glass jar (drained net weight), 4 jars per box. Natural table olives of the Negra Aragón variety. From organic farming. Natural table olives of the Arbequina variety. From traditional farming. Natural table olives of the Negra Aragón variety. From traditional farming. 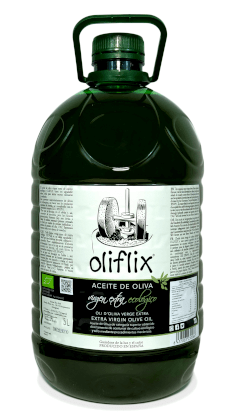 Natural table olives of the Negra Aragón variety in olive oil. From traditional farming. Natural table olives Negra Aragón y Arbequina varieties. From traditional farming. 400 gr. glass jar (drained net weight), 12 jars per box. Natural table olives Negra Aragón in olive oil. From traditional farming.